Mix flour, yeast & salt together in a large bowl. Make a well in a centre. Gradually mix the liquid into the farina flour mixture with a round bladed knife. Gather the mixture together with your hands to form a soft dough. Turn the dough onto a lightly floured surface. Now start kneading! Impastare for 5-7 minutes or until the dough becomes very smooth and elastic. 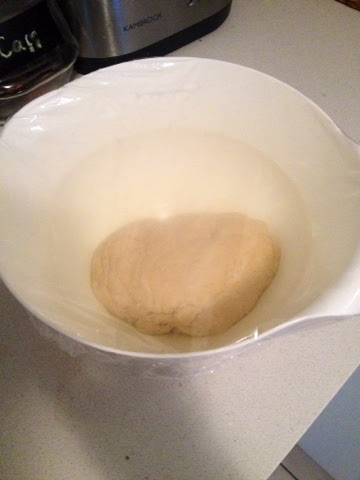 Return the dough to a greased bowl and cover with cling wrap, then leave to resto in a warm area of your cucina for about an 1 hour! It should double in size roughly. Turn out and gently impastare again for 1 minute or until smooth. Preheat the forno to 200 c/400 f. Oil a sheet of baking paper. Shape the dough into an oval shape and transfer onto the prepared paper. Cover with a clean tea towel or oiled cling wrap and leave to rise for 30 minutes. 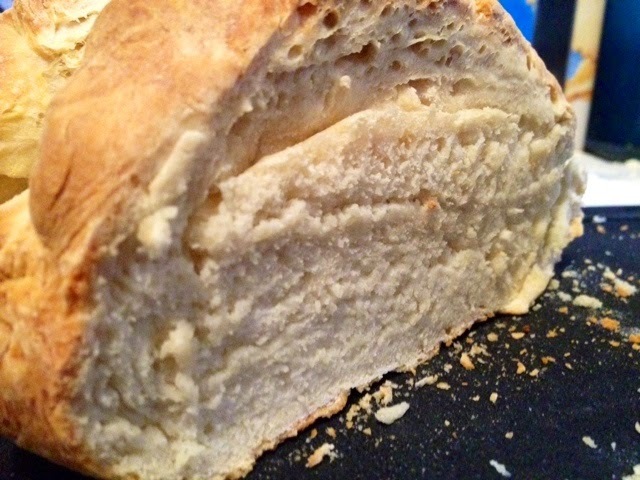 Make several slashes in the top of the bread with a sharp knife. Bake in the preheated forno for 30-35 minutes. To test the pane is cooked. Turn it overand tap it on the base. If it sounds hollow, it's cotto cooked!